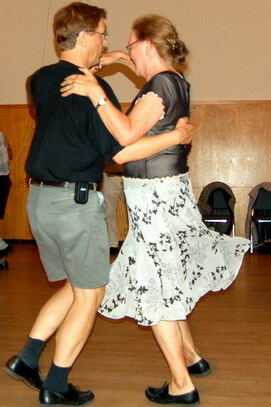 We dance in Vancouver, BC, Canada, but we like to get around and see what's going on in the rest of the world. Here are links to some groups we like to visit and some websites with information that might interest you. 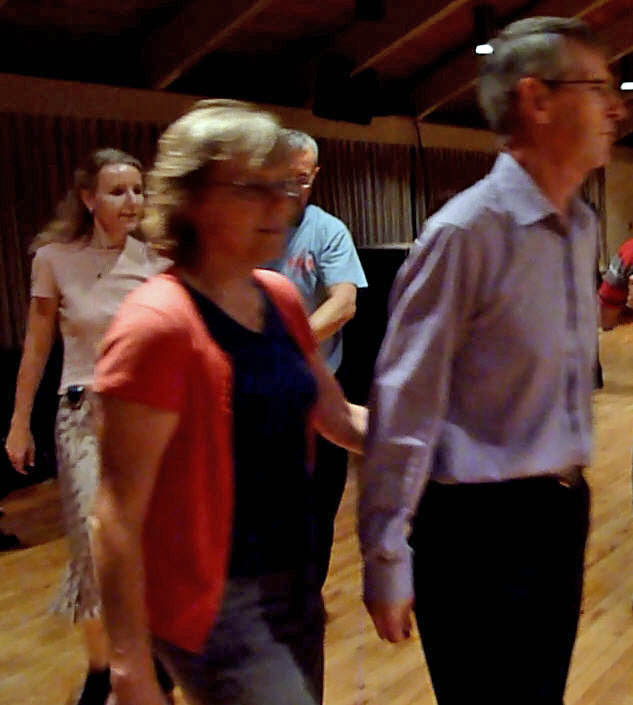 Burnaby International Folk Dancers Instruction and request dancing on Tuesdays from 7:00 to 9:30 (Basic Steps instruction 6:30 to 7:00) at Charles Rummel Centre, 3630 Lozells, Burnaby, from September to early June with a break at Christmas. 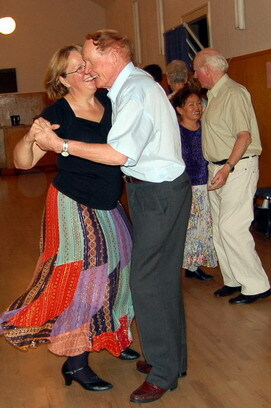 Website: http://burnabyfolkdance.org. Phone Jane at 604-522-2031. Folk Dancing in Ottawa There are dozens of links here related to dancing of various kinds in the US and Canada. Mission Folk Music Festival, in Mission, BC, usually takes place the weekend following the Vancouver Folk Music festival. They have often featured one or two Scandinavian bands. Nordic Dancers Northwest, in Bellingham and Burlington, WA, run two weekly classes and a monthly dance party. 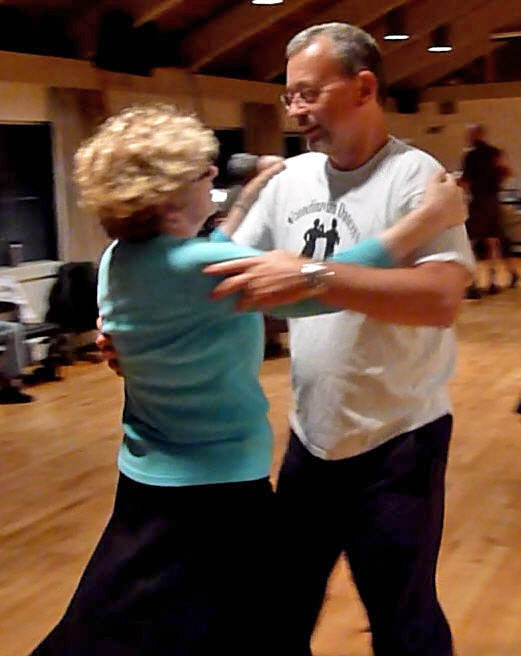 The website includes a list of dances taught in the last couple of years, along with links to videos of many. In addition, you can find links to recent videos taken of Vancouver's recent Danish workshop and the band Dansaspel's final performance at the Bothell Scandia Ball. Nordic Folkdance Society in Calgary This Calgary Sons of Norway group generally meets on the first Monday of every month except in the summer, and they put on an annual mid-September dance and music festival with instructors and musicians from Norway that is reported to be worth the trip. Norsk Folkedans Stemne In Norway, a stemne is a gathering of folk dancers and musicians sharing their knowledge of dances and music. Locally, this gathering happens every year in August a bit north of Seattle. Northern California Spelmanslag This site has some great sheet music transcribed from workshops, and online copies of their newsletters going back to 1996 with interesting articles and links to Scandinavian music and dance sites. The April 2009 issue has links to online dance videos. Northwest Folklife Festival Memorial Day weekend (weekend with the last May Monday attached) at Seattle Center: 15-18 stages all day/all evening, all kinds of folk music and dance. Musicians come mostly from the Pacific Northwest, and many are likely to be people you know. Almost free. 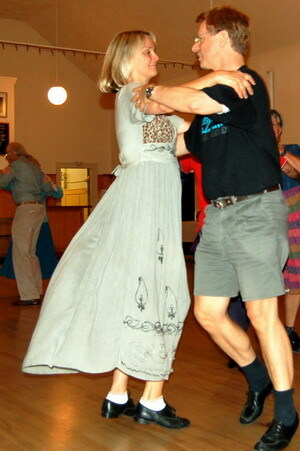 rec.folk-dancing newsgroup may have some interesting discussions, though their primary topic seems to be contra dance. Rogue Folk Club There are links from here to other dance groups in Vancouver. Scand discussion group If you like receiving email, you might like to subscribe to a Scandinavian discussion group. This mailing list is happy to have anyone with an interest in Scandinavian music, dance, and folk traditions. Any topics of discussion related to this area are fair game, as are requests for or posting of information. There there may be several items per day if a hot item gets going, but lately it has only been several per week at the most. You can also opt not to get mail and just read postings on the site. To subscribe, check out the web page at http://www.yahoogroups.com/subscribe/scand. 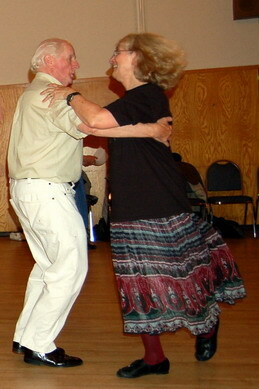 Scandinavian Community Centre in Burnaby, BC, where we do most of our dancing, has activities that may be of interest and their website often has a description of events taking place at this location. Skandia dance group, Seattle Get your links here! Our Seattle neighbors have lots of interesting activities of their own, but also, their links are so complete that we're reluctant to begin to duplicate them on this page. 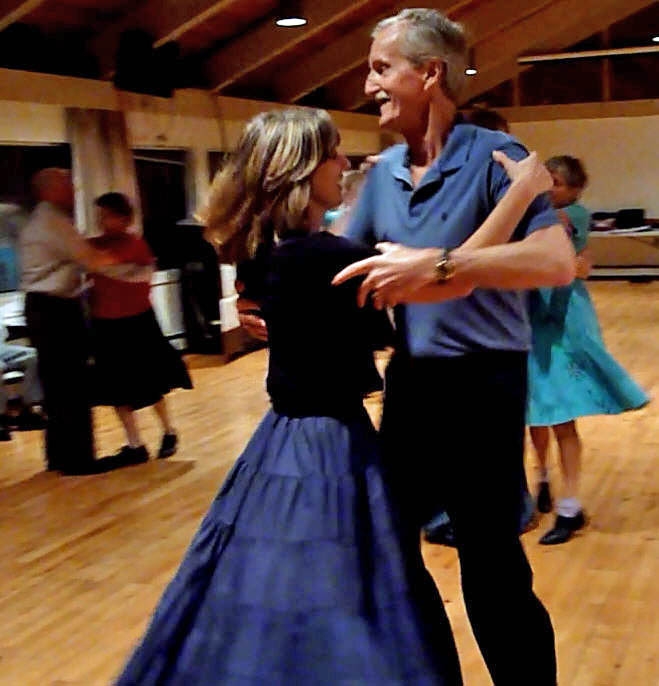 Vancouver Country Dance The home page is subtitled 'old time country dances with live music'. 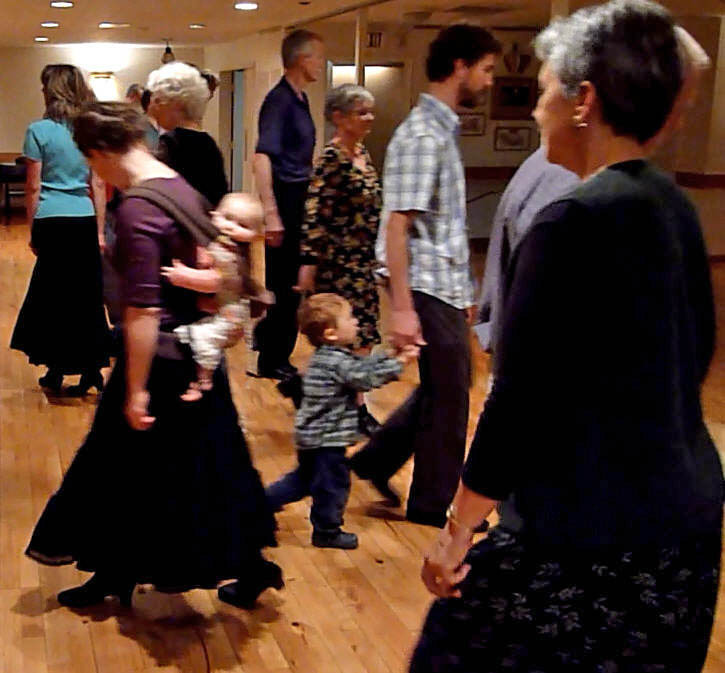 This site has the schedule for contra dancing around Vancouver. Vancouver Folk Music Festival This yearly event in July is one of the major folk festivals in Canada. Vancouver International Folk Dancers This group no longer dances in the winter, but they run the summer dancing at Ceperley Playground in Stanley Park from mid-June until mid-August, and they put on a Christmas party with live music. For more info, email Susan Pinkham, phone 778-580-7508. The two VIFD Music Books are available from Susan for $25 per book. American Nyckelharpa Association's music pages have sheet music and sound clips for lots of tunes, particularly nyckelharpa allspel tunes. Blue Rose Scandinavian Folk Music is Karen Myers's site for musicians, with the ultimate aim to make the spelmanslag (band) repertoire available online. So far, a lot of dances are listed within dance category, with the first line of each section (itself a wonderful resource). Every tune has a link to full sheet music pages, and about 25% have links to workshop recordings, with more recordings on the way. Sheet music is also available indexed by the workshop at which it was taught. Tunes from workshops may also have an mp3 available. Dancilla.com With a database of 30.000 dances, more than 3.000 videos, 800 MIDIs, 1.000 dance-instructions, articles and pictures, Dancilla.com says it offers the worldwide largest archive for the dance-community and everything what is related to dancing, like traditions, costumes, songs, music. 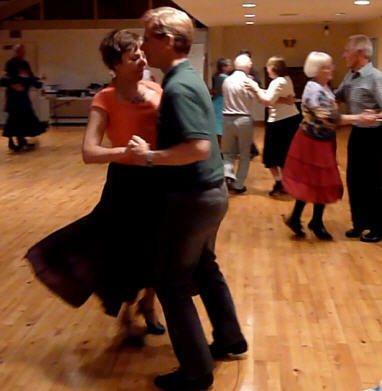 It has over 900 dances from Sweden, more than 60 from Denmark, 16 from Finland. The videos seem to be mostly from workshops rather than staged performances. 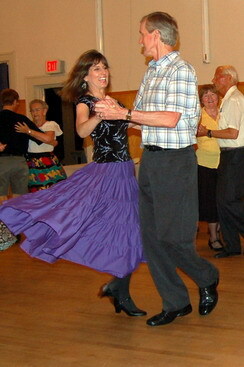 This site is being converted to a wiki; the easiest way to find a dance is from the Full List of Dances. Danish Folk Council serves as an information point for the Danish folk scene. You can order promotional Danish folk & roots music CDs, a DVD of folk music from the 1970s, and the magazine Folk&Musik. The site has news, links to musicians and festivals, articles, and interesting authentic recordings of - mostly old - musicians playing their traditional music from various parts of Denmark. They have a myspace page on which they have a blog, list upcoming performances, and have links to some Danish performers' myspace pages. Digelius Music in Finland Mail order pages for recordings from Finland, Samiland, Sweden, Norway, Greenland, Iceland and Baltic countries. Folk Dance Music with Improvisations is what amounts to the virtual course on Danish music. Actually, it's more a course on making music and how to improvise in a band setting. An incredible amount of detail on selected tunes used for folk dancing in Denmark, arranged with improvisations to vary the music when playing many repetitions. Sheet music and midi sound clips are included for all suggested variations. Folkdans Sweden has a lot of dance descriptions (in Swedish) and offers a lot of very clear videos - click the videofilm link in the middle of the page. Folkets Hus Spillefolk There's lots of written music from all over Scandinavia and a few other countries at the website of this kind of community centre organization in Copenhagen, with midi soundclips to go with the music (and some mp3 files available). And there are just enough hints in English for the Danish language-impaired to be able to get around easily enough. Click the 'Nodesamling' link at the top, or under the 'English' link, select Fiddle Tunes. Folksy Links This Italian page has zillions of annotated links (well, about 3000) to folk bands and musicians around the world. The Swedish links even include about 60 Spelmanslag groups. Folk Tune Finder How cool is this? If you can sing part of a tune but can't remember what it is, if you can play up to 10 notes on a visual keyboard, this site will suggest some possibilities. 200,000 tunes are indexed. Or you can key in part of a name, and it will show you incipits for tunes with that in the name. GO' Danish Folk Music GO' Danish Folk Music is an independent business that offers for purchase Danish produced folk music. It also has links to some other sources of Danish music. The Hardanger Fiddle Association of America The unique site in North America for information about the Norwegian Hardanger fiddle (hardingfele) and about the HFAA, its annual music and dance workshop and its quarterly journal, Sound Post; also sources for instruments and music, including sound clips, links to teachers, and links to other sites relating to Norwegian music and festivals. Henrik Norbeck, in Stockholm, Sweden, has what amounts to a virtual course on Swedish music, complete with written music and sound clips to demonstrate what he says, and he has quite a bit to say about instruments as well. He also has links to other pages concerning Swedish music. Musicians' MySpace pages - this list of over 50 musicians, mostly Swedish and Norwegian, was compiled by Matt Jolley and posted on the SCAND listserve. Almost all the pages offer a sample of four of the musician's tunes and many have videos as well. Norwegian Radio program "Alltid Folkemusikk" ("Always Folkmusic"). At the top of the page is a button labelled "Hør På Nettradio" (it means "listen"). Next to it is a pulldown menu. Select Alltid Folkemusikk from the menu and then click on the button. If you're a Mac user, here's a posting with some hints on making it work for Mac users. Nordic Roots Radio - a Live365 "station" that plays music from the Nordic Roots Revival. The station owner claims to be always eager to hear comments and suggestions from listeners. There's a link on the page where you can check out what artists are featured. Richard Robinson's Tunebook This is a collection of traditional tunes - Scots tunes, Irish tunes, Scandinavian, French, Balkan and more - and new tunes in traditional styles. A few of our sheet music pages point to this site. Spillemandsdansen works with Folkets Hus (see above) and other groups to provide tunes and videos from their pages. 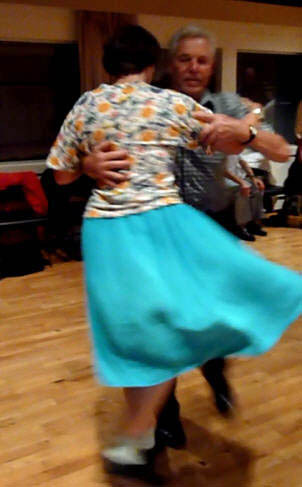 This page: http://spillemandsdansen.folkedanser.eu/dansebeskrivelser/index.htm, which seems to work better in MS/Internet Explorer, offers a lot of dance videos from Dancilla.com or YouTube, often with descriptions, and often two videos of the same dance. It's all in Danish, but easily manageable to English speakers unless you want to understand the dance descriptions. Studentspelmanslags For the last five years, musicians who are students of various folk-high-schools and universities in Sweden (and Denmark and the Baltics) have met to compete to declare a "world champion", and they've put a lot of videos of the event online. At the World Championship Spelmanslags page link at the start of this paragraph, click the "Historik" hyperlink to get a list of what's available. Or you can go right to this YouTube link to see the videos in a larger size. People are dancing in all these videos, though they're in the dark and the camera is not really focused on them, but you can see a bit of what they're doing. This page was last modified on October 2, 2018.